Guam is the largest and southernmost part of the Marianas. 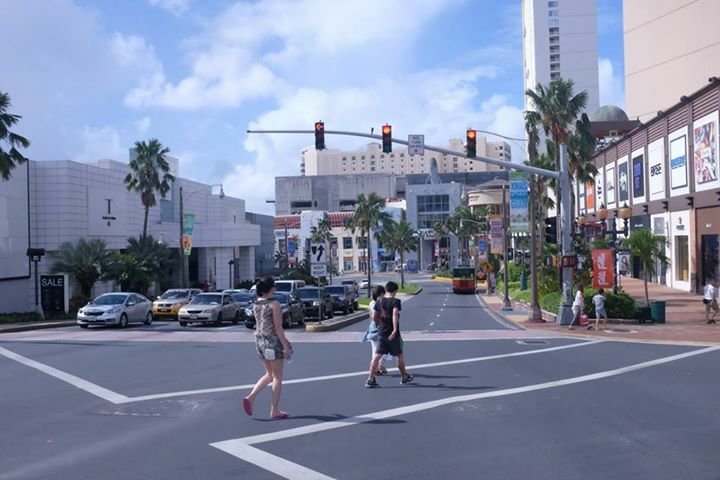 I think that Guam is not really that known to a lot of people except probably to Japanese, Russians, Chinese and Koreans. It is clear that their main source of income comes from Tourism and I guess the US armed forces. I enjoyed my 17 day stay here only because of the generosity of my friends family who lives on Guam. It was really nice to experience the island with locals and not just as tourists because Guam is pretty tourist infested in most areas. Tourist Infested Area. Everything designer on discount. Guam is a really beautiful island with bipolar weather. One minute its sunny and the next you’ll have a downpour of rain. It’s a bit difficult to go around the island also if you do not have a car or aren’t part of some tour. Japanese tourists would take buses but its a 4$ ride going only to specific places. We were lucky to have my friends parents to take us around the island and to bring us to local restaurants and movie theaters. It was really a nice experience, and if we ran out of things to do there was always the tourist infested beach to walk to. We found a hidden area behind Westin hotel. If you plan to go to the beach you should try going here. Sleeping on the Beach trying to get a tan. The hidden area with mangroves. Really nice here. We also had the chance to meet some locals who were friends of my friend Mariel. Athletes from Guam who introduced us to their young locals. I will miss Guam a lot. If any of you are ever in Guam you should try a Pump or a Combat class with my friends mom Tita Ann at Paradise Fitness. 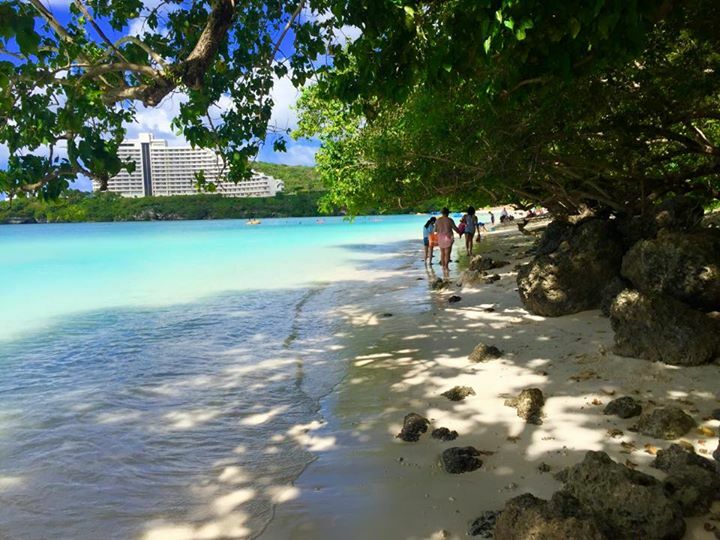 You don’t need 2 weeks like us to go around Guam in fact I think a weekend trip is enough of a stay here. In fact it only takes 2-3 hours to go around the whole island by car. So I suggest that you rent a car when you come here so you can go and explore the island. There are a lot of different things you could do, or you could join a tour. 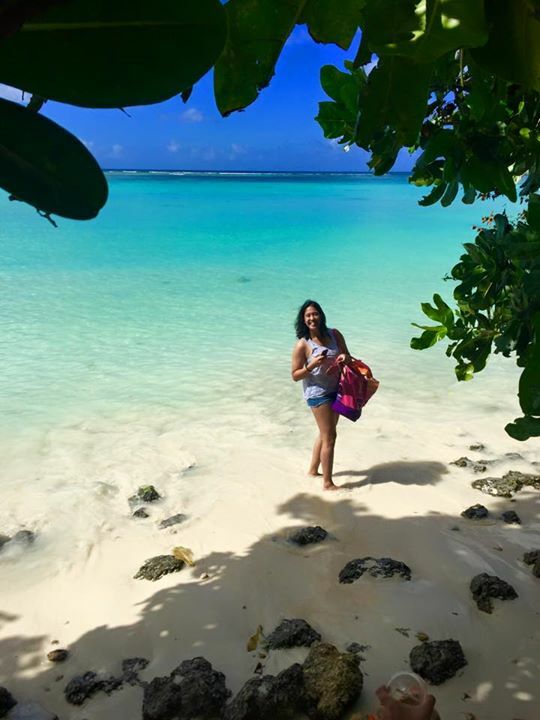 A quiet peaceful getaway and everything designer is always cheap and on sale on Guam. So shopaholics will enjoy shopping here and at the same time you get some sun! I would love to come back just for the beach and more shopping. The day we toured the island we had the Chance to go the the Inarajan Pools and the place where the Spanish invaded. 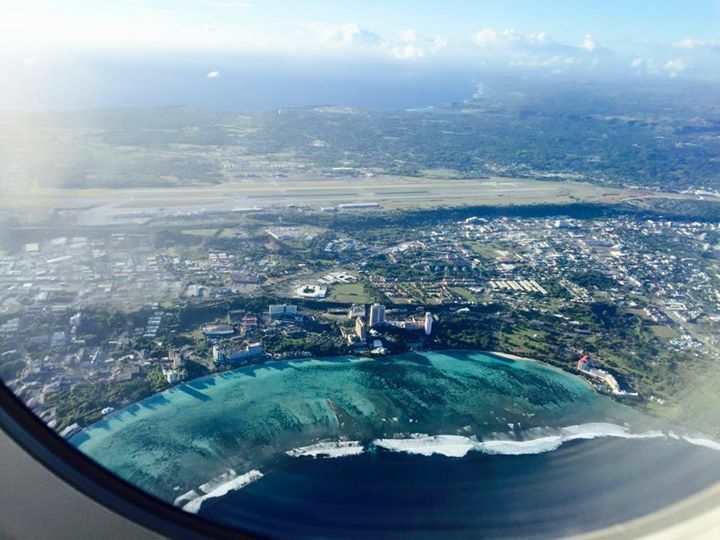 View of the small island of Guam from the airplane. Hafa Aday Guam! Until next time again. Hafa Aday all day everyday! I’ll also be inserting a where to eat post on Guam on the Hungry Ballerina.